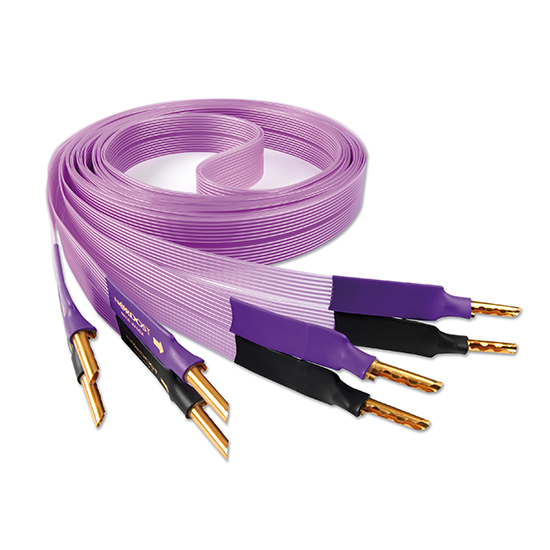 Nordost Purple Flare 2.5M Speaker Cable Made In USA Brand New. 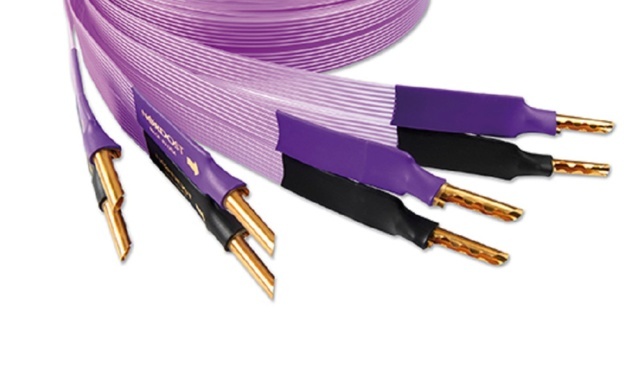 Nordost’s original Flatline loudspeaker cable introduced the audio world to an entirely new level of performance and a unique production technique. Our proprietary, extruded FEP cables, with their thin, flat profile don’t just look different – their deceptive simplicity is a uniquely elegant answer to the conflicting requirements for low resistance, capacitance and inductance that limit the performance of more conventional cable configurations. Now, by re-examining the geometry of each cable, we have reduced dielectric effects still further as well as optimized the physical spacing of the conductors. This results in significant musical gains, increasing musical flow, dynamics and expressive range. Compared to White Lightning, the Purple Flare’s increased number and gauge of conductors allow it to deliver greater weight and dynamic range for even greater musical involvement, drama and impact.